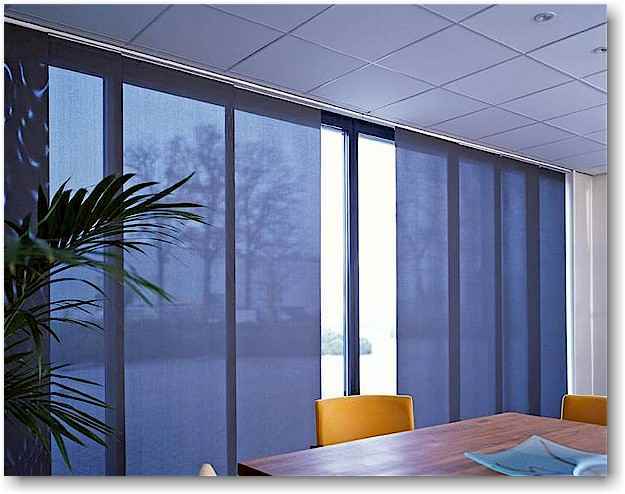 Panel Blinds are perfect for Large Glass window area and also panel blinds work as perfect solution for room divider purpose suitable for residential and commercial use. Panel blinds makes an effective and fascinating appearance to windows, look no further than our fabulous and functional Panel Blinds. Analogous to other window blinds panel blinds for sliding glass doors and wide windows feature wide panels also reflectors daylight when closed and effective daylight filters when pulled down. When these are raised, these load up tidily behind one another, permitting maximum light into the room. 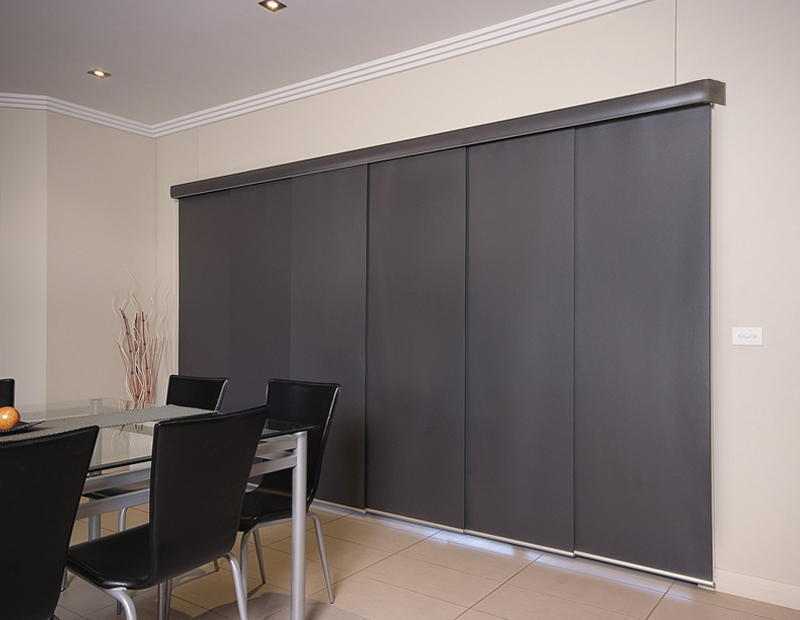 These panel track or glide blinds form a complete fabric divider giving full privacy and light control, when these made spread across the channel. Our panel shades will alter the appeal of any room with its refined, stylish exterior and style. Match them with the fabric of the other furnishing products of your room. 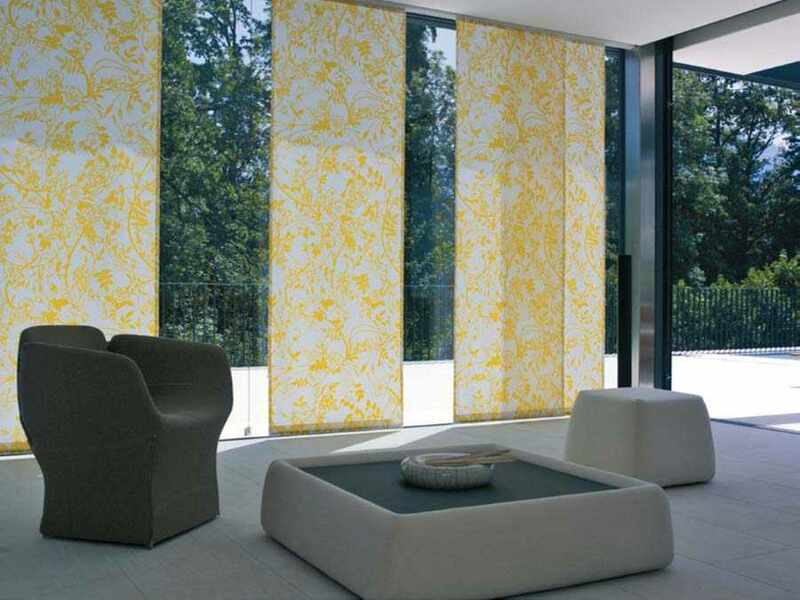 The panel track blinds can be made ready from wide range of roller fabric of great appealing colors and textures, from our increasingly popular sunscreen/translucent range to our blackout and delightfully textured and patterned fabric selection. 1. Maximum width of Panel Blinds is 4 meter. 2. The size of single panel one fourth of total width of a blind. 3. The overlapping fabric panels glide smoothly and effortlessly on a cord operated track. 4. 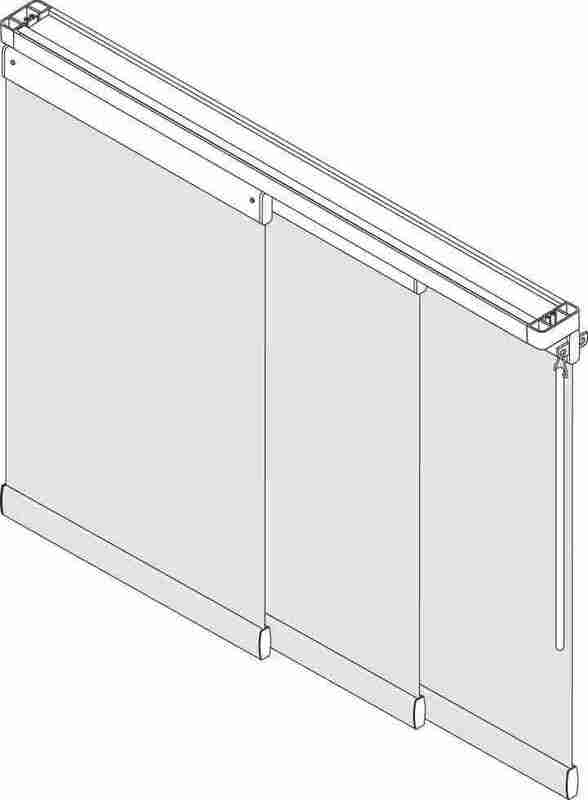 The slim profile track is designed for both wall or ceiling mount that virtually disappears once it is installed. 5. 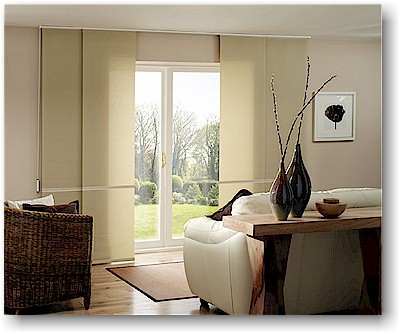 Panel blinds can be made operating from left side to right or right side to left as per your window covering needs. 6. Panel blinds can be made from translucent, backout and jute fabric.